Cloud-based web and mobile dashboard solutions developer Klipfolio Inc announced this morning that the company has secured $1.7-million (CDN) in funding, led by the BDC Venture Capital IT Fund, Mistral Venture Partners and including several leading early-stage investor groups from both Canada and the United States including Fundfire (Ottawa), BOLDstart Ventures (New York), Acadia Woods (New York), and CommonAngels Ventures (Boston). 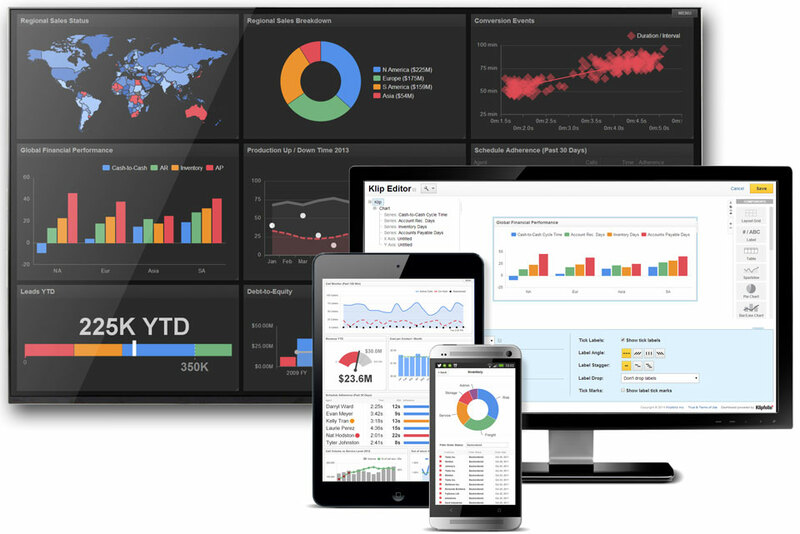 The Ottawa-based startup has recently grabbed the attention of industry watchers and many of the world’s most recognized brands for its real-time business dashboard, a flexible and powerful solution that allows business users to unite cloud-based and on-premise data sources to create meaningful dashboards without the cost or complexity of traditional business intelligence tools. Klipfolio has experienced dramatic year-over-year organic revenue growth and has a growing customer list that includes Fortune 500 companies. Klipfolio has a diverse customer base that includes leaders in healthcare, financial services, consumer packaged goods, non-profit, manufacturing and government. With more than 1,100 customers in 2013, Klipfolio has experienced rapid customer growth since the organization launched a cloud-based dashboard solution in 2011. “Now that cloud-based computing has been broadly accepted, I expect to see a surge in the uptake of BI in 2014. By focusing on a combination of user self-service, mobile, and cloud-based BI, Klipfolio is well positioned to get significant traction in a market where there is a strong potential growth in BI adoption,” said Mike Ferguson, Managing Director, leading IT market analyst and consulting company, Intelligent Business Strategies. Popular online automotive review site Edmunds.com is a long-time Klipfolio customer. Based in Santa Monica, CA with more than 550 employees, Edmunds.com was recently ranked by the Maritz Research’s 2013 Online Customer Review Study as one of the most trusted online review sites, ranking 4th overall. With 200 million visitors to its site annually, Edmunds.com needed a solution that gave it real-time insights into its business. “How you present data really matters. It matters in the sense of the story you want to tell as well as how digestible and actionable it is for the end user. We chose Klipfolio because of how easy it was to integrate with our back-end data, and the ease of learning the UI in terms of transforming and getting value out of that data,” said George K. Kang, Vice President, Inside Sales & Dealer Development, Edmunds.com. According to the Klipfolio management team, Klipfolio plans to use the funding to expand its operational team and global reach. This entry was posted on Friday, February 14th, 2014 at 7:57 am and is filed under Business News, Digital Products, National News, Software. You can follow any responses to this entry through the RSS 2.0 feed. You can leave a response, or trackback from your own site.